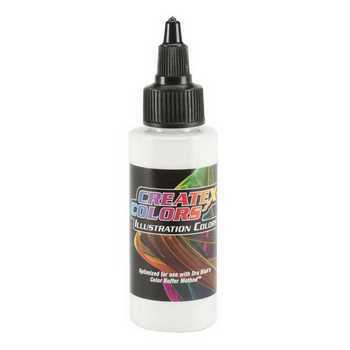 Createx Illustration Colors™ are a refined, water-based airbrush colors optimized for use with Dru Blair's Color Buffer System. Illustration Colors offer true fine-line, detailed performance while allowing for re-wettable effects and subtle erasing techniques. As the name implies, Illustration Colors are designed with the illustrator and fine artist in mind without catering to the demand for high coverage base colors. Illustration Opaque Colors are heavily pigmented opaque colors which dry to a matte finish. 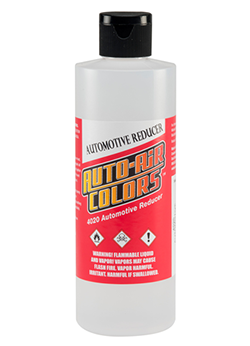 Colors may be reduced and over-reduced in any ratio with 4012 & 4020 Reducers. 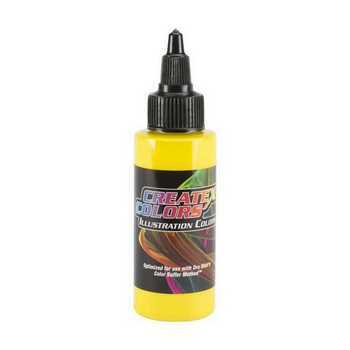 Illustration Colors appear glossy and vibrant with dimension after a gloss, top-coat clear is applied. The Steve Gibson - Air Oil & Lead Grisaille Grey's system is a modern approach to Airbrushing, using traditional "Old Masters" Techniques. Steve Gibson is a Fine Art Painter, well-versed in traditional oil painting applications and color theory, who technical knowledge is the driving force behind his approach to Airbrushing and this Colors. This introduces you to a new twist on a methodology used by traditional Oil Painters. Using 9 Neutral Greys to underpaint, creating values for structure, you then build color using a mixture of proper CMYK hues for finished values and color. The Grey's are chemically bonded custom grey set mix based on the Munsell color system the paint won’t separate. The grey you see is grey you get. Note: In fine art, the term grisaille most commonly refers to a monochrome paint technique by which a painting or drawing is executed exclusively in shades of grey. Tim Gore is an extremely talented artist with over 25 years experience in the film special effects industry. 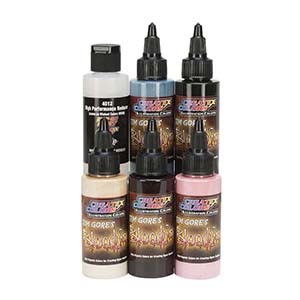 Bloodline™ is a line of airbrush colors specifically created by Tim Gore with colors designed for the subtleties of painting everything from "hyper real" creatures, humanoids and monsters, latex masks, resin kits and anything your imagination can come up with. 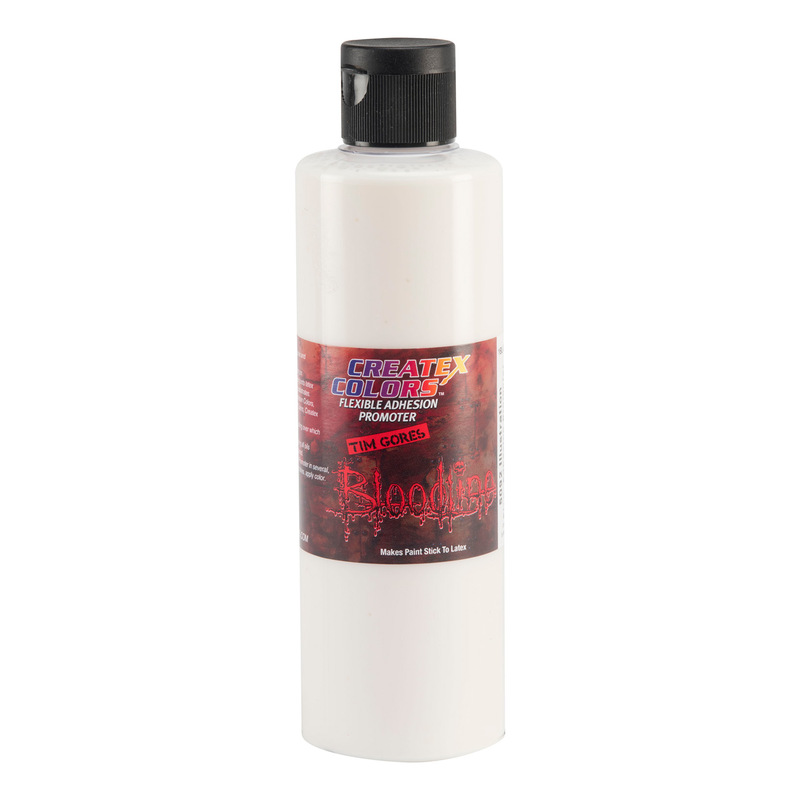 Bloodline™ is a part of the Createx Illustration Colors™ line. Createx Illustration Colors™ are a refined, water-based airbrush colors optimized for true fine-line, detailed performance while allowing for re-wet table effects and subtle erasing techniques. Illustration Colors are lightfast and durable. No reduction necessary. Illustration Colors atomize and spray excellent through small airbrush tip sizes down to 0.15mm at low psi settings straight out of the bottle. Tim Gore is an extremely talented artist with over 25 years experience in the film special effects industry. 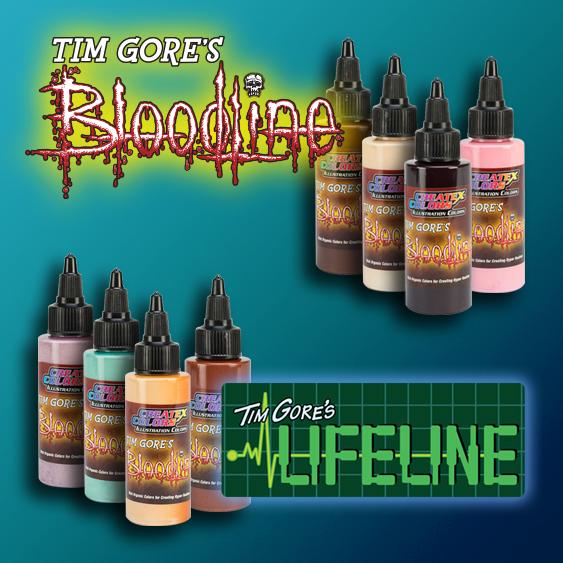 Lifeline is a line of airbrush colors specifically created by Tim Gore with colors designed for the subtleties of painting skin tone for everything from "hyper real" creatures, humanoids and monsters, latex masks, resin kits and anything your imagination can come up with. Lifeline is a part of the Createx Illustration Colors™ line. Createx Illustration Colors™ are a refined, water-based airbrush colors optimized for true fine-line, detailed performance while allowing for re-wettable effects and subtle erasing techniques. Illustration Colors are lightfast and durable. No reduction necessary. 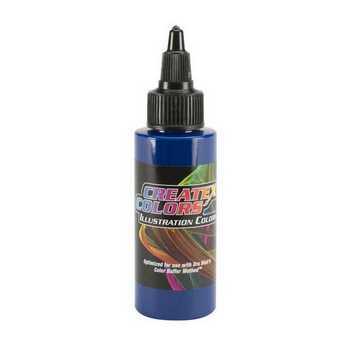 Illustration Colors atomize and spray excellent through small airbrush tip sizes down to 0.15mm at low psi settings straight out of the bottle. Lifeline are a special set of Illustration Colors skin tones. Lifeline are made with the same resin as Illustration Colors and share the same performance attributes. Lifeline are transparent, although colors may appear opaque due to the high pigment load. Lifeline dry to a matte finish and can appear glossy when top-coated with a clear. 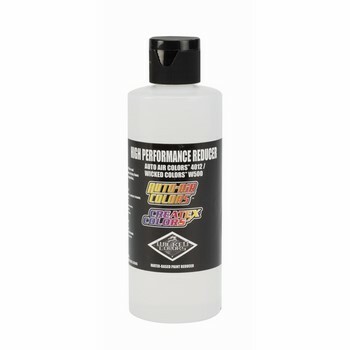 A solvent-hybrid reducer that can be used to slow the drying time for better paint flow and less tip dry. 5092 – Bloodline Flexible Adhesion Promoter: A water-based primer for painting on latex masks so paint will not chip, crack or peel off. May be applied as a primer direct to latex as or mixed direct with Bloodline Colors and other Createx Colors paints. Appears milky in solution; dries to a clear and tacky coating which paint will adhere to, flex and not crack or chip off. Scuffing is not required. 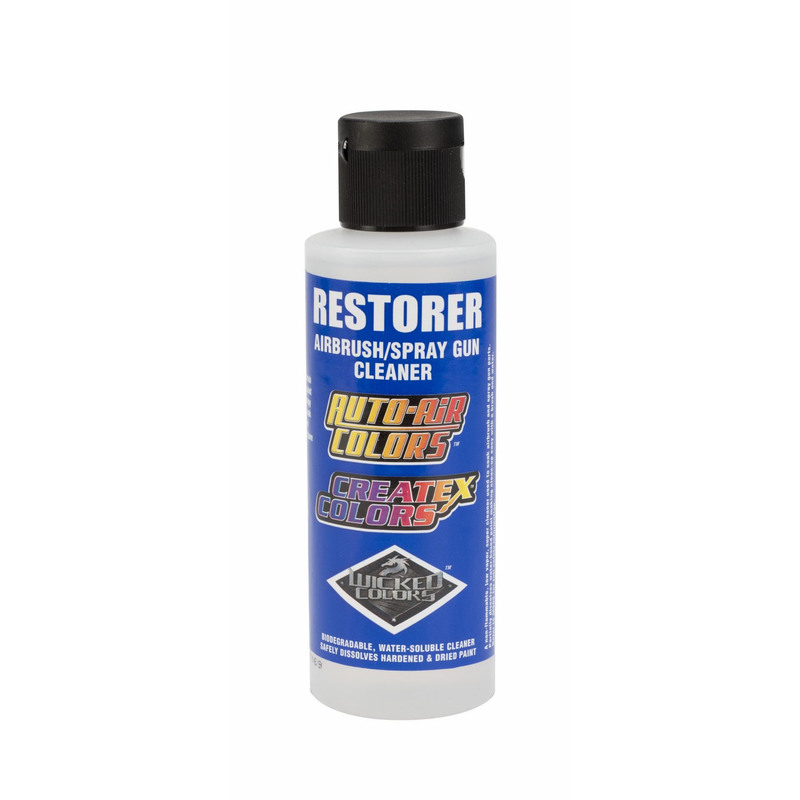 Simply clean the latex then apply Flexible Adhesion Promoter. 4011 is a dilutant used for thinning paint viscosity. Appears clear in the bottle. 4011 assists drying times by flashing water from the paint. 4011 also helps reduce tip-dry compared to diluting with water. Intended for use with all Createx Colors paints. High temperature: best used over 80º F (27º C) or more . 4011 allows colors to flow longer, for improved orientation of metallics and pearls and less seeding or buildup of the dye in candy2O. 4011 is a dilutant that is slower drying compared to 4012. Works especially well when using a spray-gun in temperatures over 80 degrees F (27 deg. C). Standard dilutant for all Createx paints. A premium thinner to lower viscosity for better atomization. 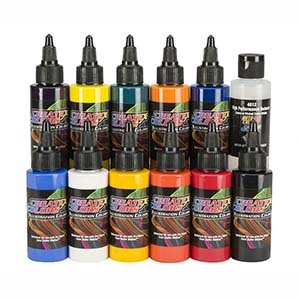 For use with Createx Airbrush Colors, Auto Air Colors, Wicked Colors, Illustration Colors and AutoBorne Sealers. Water-based paint material containing 2-Butoxy Ethanol. Medium temperature: best used 60 – 80º F (16 – 27º C). Do not use with Scenix SSR Gloss Clear. 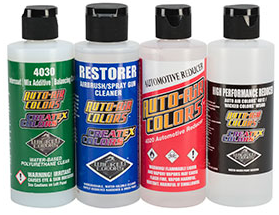 Colors dry faster, cure to a harder coating compared with reducing with 4012 High Performance Reducer. 4020 works best by mixing with 4012 to create a cocktailed dilutant. Diluting Createx paints with 4020 alone is not recommended as paint may prematurely cure, seed in the cup and create cured paint particle contaminants. 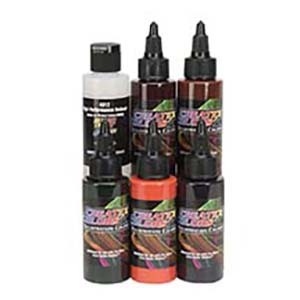 For use with Auto Air Colors, , Wicked Colors, Createx Illustration Colors and Scenix Paints & Clears. Makes paint flow easy with minimal tip-dry. Best when with 4012 or 4011 to create a cocktailed dilutant so colors flow & dry fast without seeding. Recommended starting ratio is 4012 3:1 4020 (25% 4020 per volume). Non-reactive; does not serve as a catalyst. Use only in controlled spray environments with adequate ventilation and a NIOSH / MSHA approved respirator. A non-catalyzed, polyurethane, water-based clear. Mix 4030 Balancing Clear 10 - 25% per volume or more with Createx Airbrush Colors for improved performance on non-porous, hard surfaces. 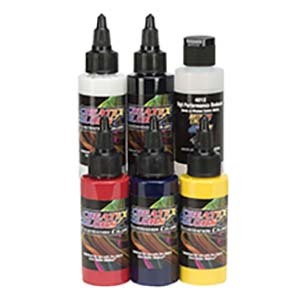 4030 mixed with Createx Airbrush Colors or any Createx Colors paint creates an acrylic-urethane paint which greatly improves spray performance. 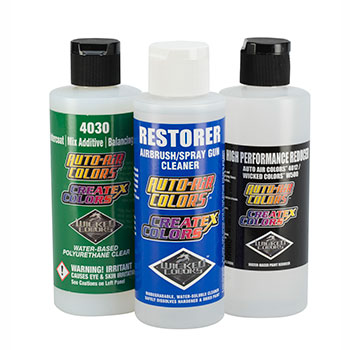 4030 works as an adhesion promoter when mixed with Createx Airbrush Colors, perfect for painting plastics, vinyl and most any surface that is difficult for paint to adhere to. 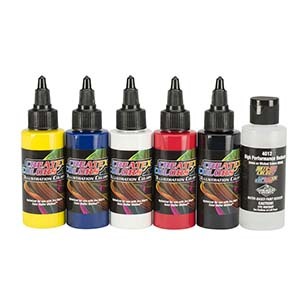 Createx Airbrush Colors air-dry to a much more durable coating when mixed with 4030 Balancing Clear. 4030 also works as a protective inter-coat when applied over Createx Airbrush Colors. Reduce 10% 4012 High Performance Reducer when applying 4030 as an inter-coat. 4030 appears milky in solution, dries clear. Colors dry to a satin finish when mixed with 4030. Mix with all Createx Colors prior to use when painting hard-surfaces, plastic & automotive. 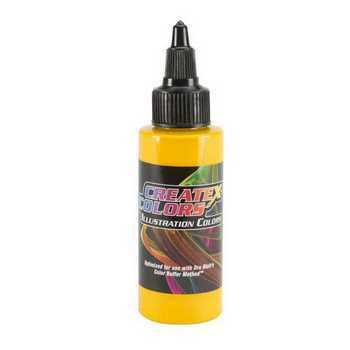 A mild, water-based solvent cleaner for rinsing colors while painting. Spray 5618 in between colors while painting to partially clean airbrush or spray-gun before using next color. Compared to 4012, 5618 is a milder cleaner. When adding 4030 to Createx Colors paints and clears, flushing colors with 4012 is more effective compared to cleaning with 5618. 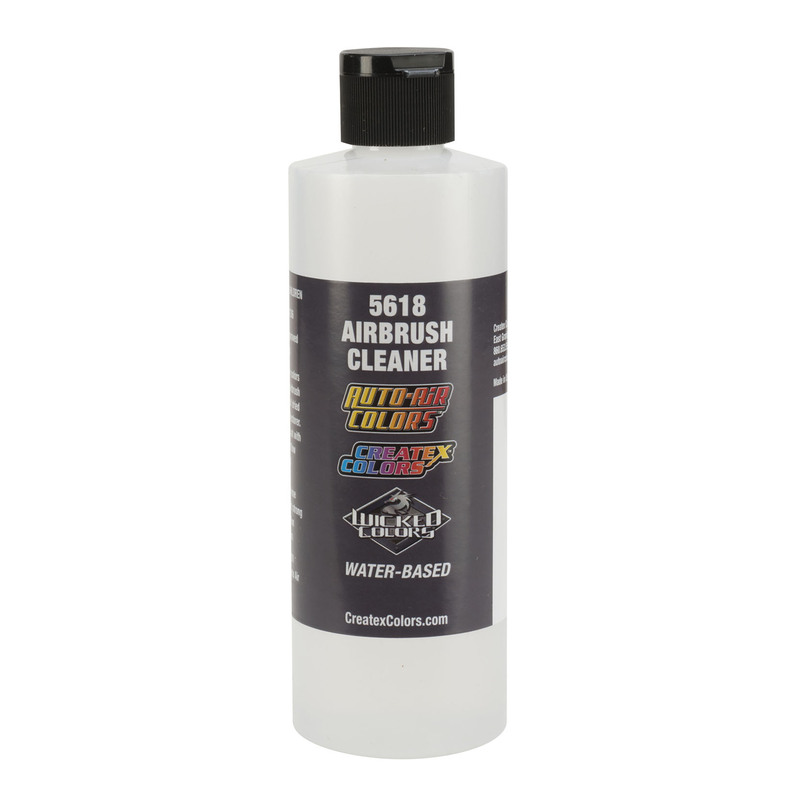 A water-based, biodegradable cleaner used for soaking airbrush and spray-gun parts after painting. Dru Blair's Illustration Colors Box Set, has the main colors and reducers that Dru uses for his photorealism illustration. The Steve Gibson - Air Oil & Lead Grisaille Grey Set is a modern approach to Airbrushing, using traditional "Old Masters" Techniques. Steve Gibson is a Fine Art Painter, well-versed in traditional oil painting applications and color theory, who technical knowledge is the driving force behind his approach to Airbrushing and this Set. 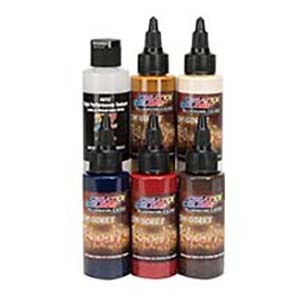 This Master Set introduces you to a new twist on a methodology used by traditional Oil Painters. Using 9 Neutral Greys to underpaint, creating values for structure, you then build color using a mixture of proper CMYK hues for finished values and color. The Gerald Mendez Art Studio Set is an all in 1 training set in a box. Including a complete How-To, line drawing for transfer, Artool Template & All colors needed to achieve A Aztec Mask masterpiece. With Candy2o, Illistration Colors and Reducers. 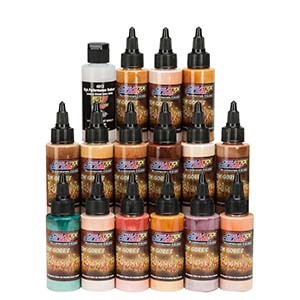 The Frankensteam kit contains all the paint products necessary to recreate the Steampunk "Frankie", as well as all of the other Franks Craig has cranked out in the past! 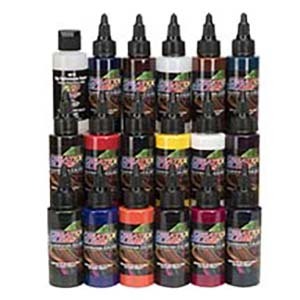 You'll have candy2o, Quicksilver Chrome, Bloodline, Illustration Color and 2 Artool Steampunk FXII Stencils to help your artistic debauchery. A complete photo of Frank and a line drawing of the concept art is also included.